Construction of the Chattar Manzil, part of the Chattar Manzil complex, was started by Nawab Saadat Ali Khan in memory of his mother Chattar Kunwar and completed by his third son, Ghazi-ud-Din Haidar Shah, in 1810. Lucknow: Restorers working on the early 19th century Chattar Palace on the banks of the River Gomti have stumbled upon an underground hidden floor, complete with French arches, say officials. 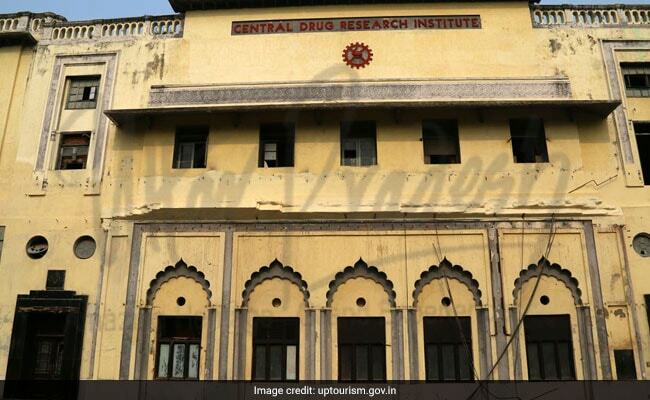 The new floor has been found on the side facing the river, said officials of the Uttar Pradesh Rajkiya Nirman Nigam (UPRNN), which is working on restoring, renovating and strengthening the heritage structure. It has ventilation and light, and is believed to have been a hiding place for the royal family in case of an emergency. "We were excavating the site for a scientific investigation of the foundation for renovation and strengthening of the structure. About three-four meters deep, we found one more storey on the riverside of the structure," UPRNN project manager Sandeep Singh told PTI. "We are collecting information based on various research studies on the palace," Mr Singh added. The Archaeological Survey of India (ASI), state ASI and Indian Institute of Technology, Banaras Hindu University (IIT-BHU) have conducted a joint inspection of the structure. IIT-BHU experts have submitted a report to UPRNN for the line of action. "We are drafting a proposal to send to the government for going ahead with work on the new floor," Mr Singh said. "After recommendations from the experts, we are sending suggestions to the government to build a retaining wall for the preservation of the new floor," he added. Giving details of the renovation project of the palace, he said photographs were being collected from various sources, including Indian Institute of Technology-Banaras Hindu University (IIT-BHU) and the Archaeological Survey of India (ASI) to restore the original look. Professors from IIT-BHU are also helping in the choice of material for renovation. "The architectural style of the palace is a mixture of Indo-Muslim and European elements. The Chattar Manzil complex includes the Badi and Choti Chattar Manzils, the Kothi Farhat Baksh built by Claude Martin, the Lal Baradari, Gulistan-i-Iram and Darshan Vilas," Naved Zia, who conducts heritage walk in the city, told PTI. It is believed that the palace was connected to the river Gomti and 27 other palaces in the city through underground tunnels for the ladies of the royal families to use, Mr Zia said. The palace is open for tourists but only after special permission from the authorities. It will be open for everyone after the renovation work is completed. "The structure requires fine work and will take about six months to complete. This will also depend on the availability of funds at that time," Mr Singh said. The renovation is estimated to cost about Rs 18 crore, of which about Rs 8 crore has been sanctioned by Uttar Pradesh government's art and culture department. Chattar Manzil is also known as the Umbrella Palace for having umbrella-shaped domes. The complex was damaged during the Revolt of 1857 when the British not only damaged the building but also took away the furniture and hangings, Mr Zia said.